India's budget airline, IndiGo announced that it is all set to receive its first A320neo jet in March. The delivery of the fuel-efficient Airbus A320neo had been delayed and Indigo was supposed to induct these planes from December last year. In a statement, Indigo said its total fleet size, currently numbering around 100 planes, is expected to increase by about 22.4 per cent year-on-year in the 2017 financial year. According to a report in the Times of India, IndiGo expects to grow its fleet by 13 aircraft in the fourth quarter of fiscal year 2016, followed by year-over-year increases of 11 aircraft in the first quarter, 21 aircraft in the second quarter, 27 aircraft in the third quarter and 24 aircraft in the fourth quarter of fiscal year 2017. The fourth quarter, year-over-year revenue is anticipated to increase by six per cent to eight per cent and net profit will also be impacted due to the exchange rate movement in the Indian rupee versus the US dollar. "With the resolution of the delivery of A320neos, IndiGo expects to continue with its strong operating performance, growth in profitability and healthy cash generation." 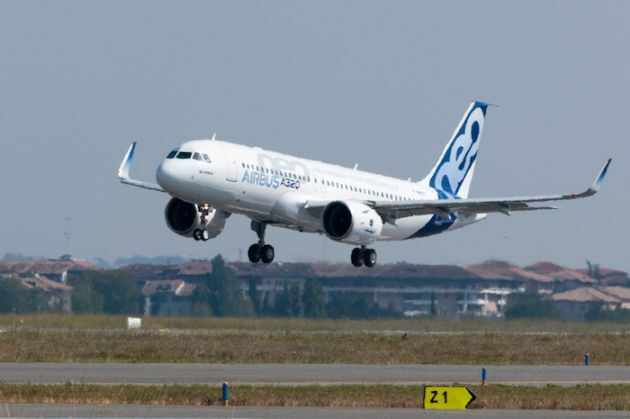 The new A320neos powered by Pratt and Whitney's fuel-efficient geared turbofan engines are expected to reduce the airline's costs and make air transportation far more accessible for the commuters.